Fuel, food and so much more! Uptown Chevron Food Mart & Car Wash is the “car wash near me” located in Wailuku, HI. This family owned business has been offering gas station services, local restaurant cuisine and amazing convenience store options and prices for over 50 years. The idea that a gas station service could be a convenient food mart and restaurant--all at reasonable prices--was explored by these folks ages ago. 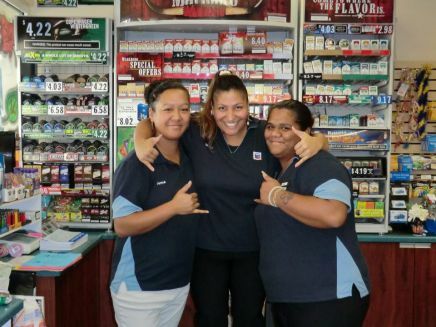 It’s no wonder Uptown Chevron Food Mart & Car Wash was hailed the 2013 Ho’oleka Award winner for best Retail Business of the Year! The friendly service is everything you would expect from these Maui natives, while 4-service car wash options have everything you need to get your ride sparkling in the sun. But, their convenience store will definitely save car wash and gas station patrons from having to make a trip to the grocery store. Food, deli, bakery and liquor options are all under one roof without the over-priced convenience store quotes. It’s an amazing one-stop-shop for your favorite food, takeout and wine desires at prices you can afford. If you're on the go, or simply coming home, this is your go-to place. But there’s more. If you have a craving for local flavor, Uptown Chevron Food Mart & Car Wash has the freshest menu items that include fantastic weekly lunch specials from 10am-2pm. On Wednesday, the local fair heats up with gandule rice and pastele stew, but their ever-popular opakapaka (baked snapper) is a Friday treat not to be missed! Get all your car wash, gas station, take out, wine and convenience store needs met today! For store hours visit Uptown Chevron Food Mart & Car Wash online, or to place an order for your favorite takeout menu items call (808) 244-0869. Liquor Store Summer Special For 12-Packs of Bud! Chocolate Roses at Uptown Chevron! Find Hot Meals, Groceries, & More at Wailuku’s Best Convenient Store! Merry Christmas from Uptown Chevron! On Maui for the Holidays? Check Out Wailuku’s Local Restaurant & Convenience Store! Win tickets to Lakers game!